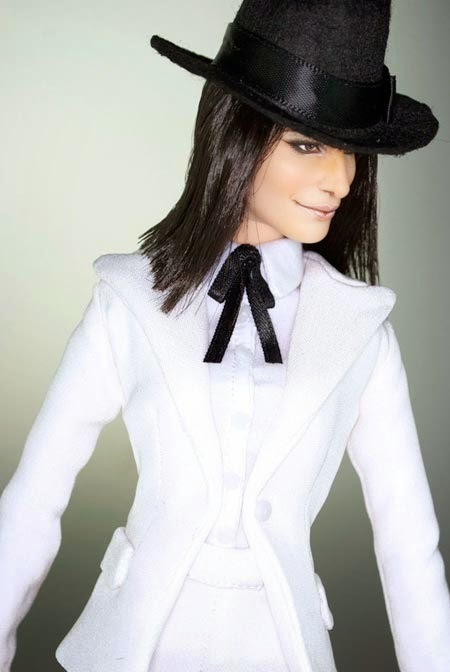 This is a tribute doll to Laura Pausini, wearing a replica dress of "Limpido" videoclip. 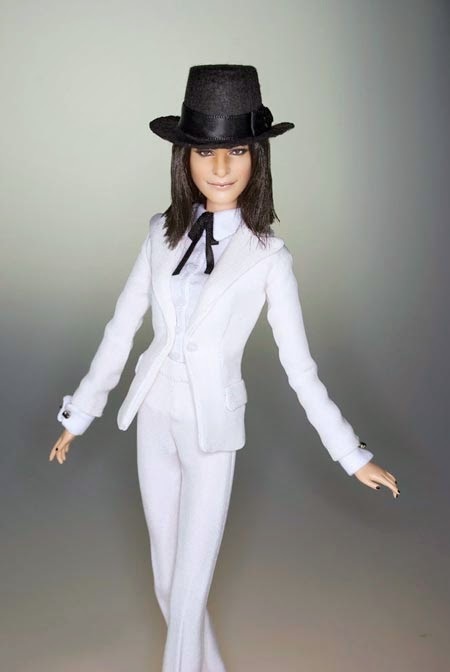 This doll has been requested officially by her Fan Club to be a special present for Laura herself at her 2014 Fan Club Halloween Party in Ravenna. We had the honor to deliver the doll to her personally on stage during the show. 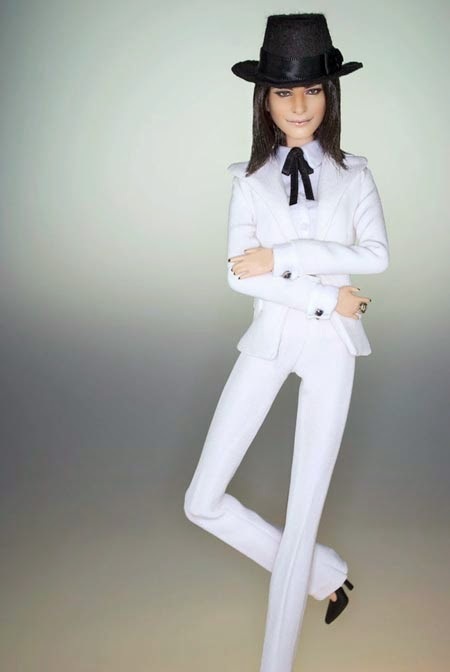 The doll wears a white jacket and pants, fully lined, with white cotton shirt and black satin ribbon tie. 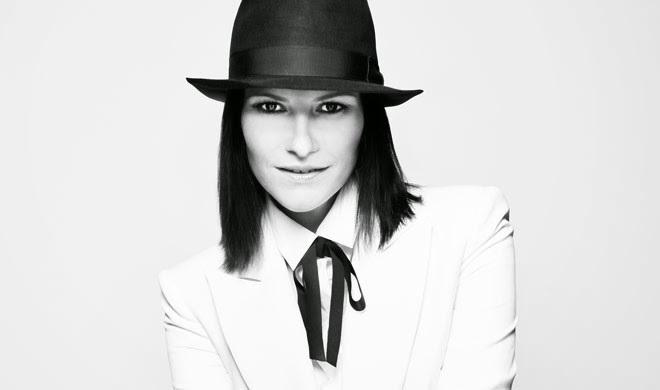 All details match the original style of Laura on her popular 20th Anniversary Greatest Hits album cover, as well as the pose. 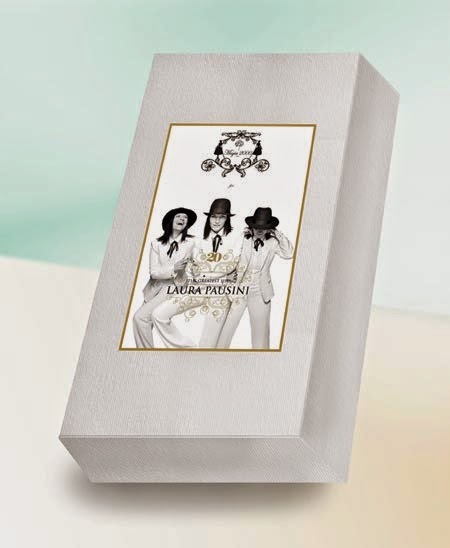 Magia2000 creates a special white box with logo and pictures from her album booklet. 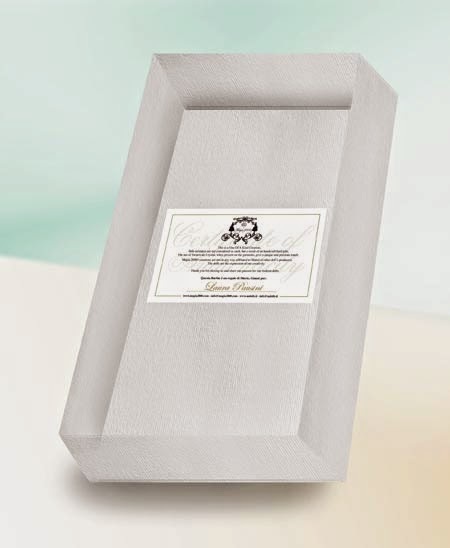 All the accessories are handcrafted by Magia2000, including earrings , necklace and ring. 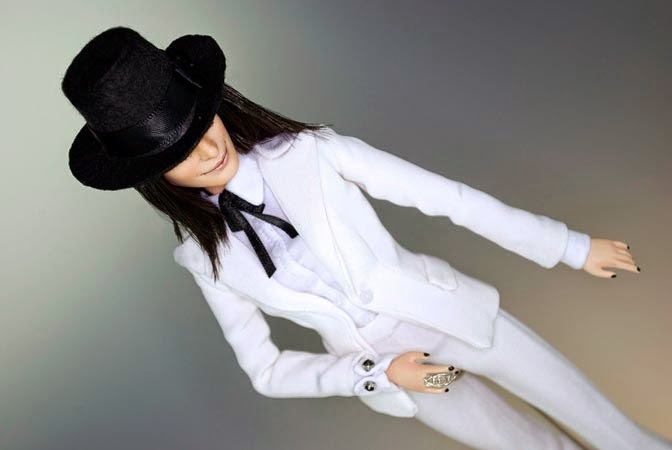 The doll received a full hair reroot and a new hairstyle. She received also a full facial makeover with professional sealing, painted with acrylic colours. Not Available for sale . You can view the official Video clip of the Halloween party below.